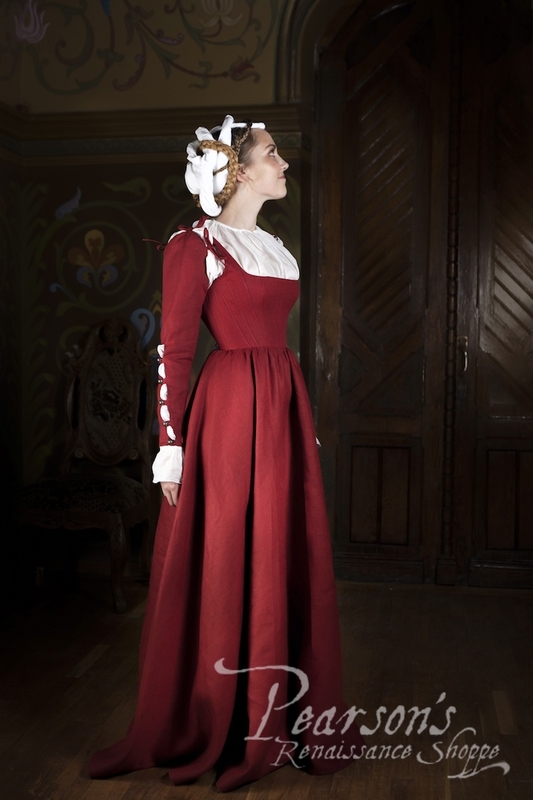 We've added a touch of elegance to the classic Kirtle Dress. 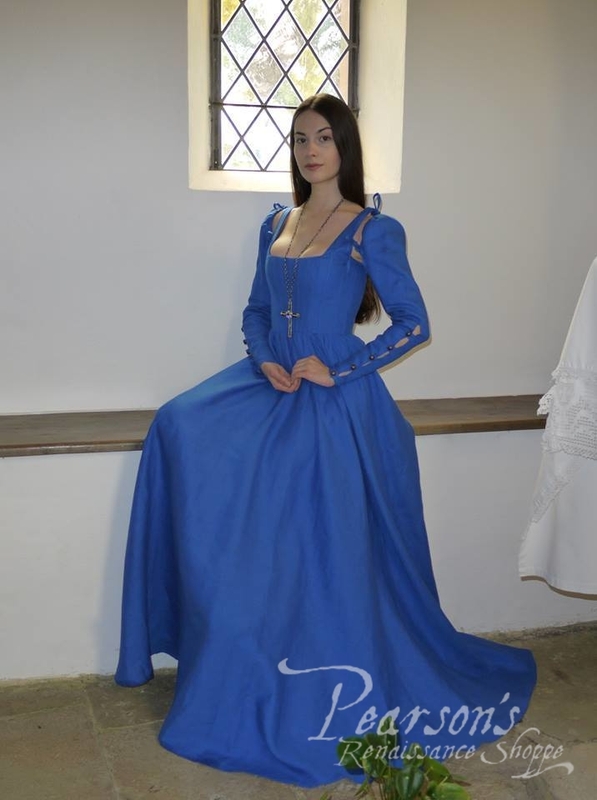 This is a late version of the kirtle with a severing wide cross-cut skirt that provides a beautiful bell-shaped silhouette. 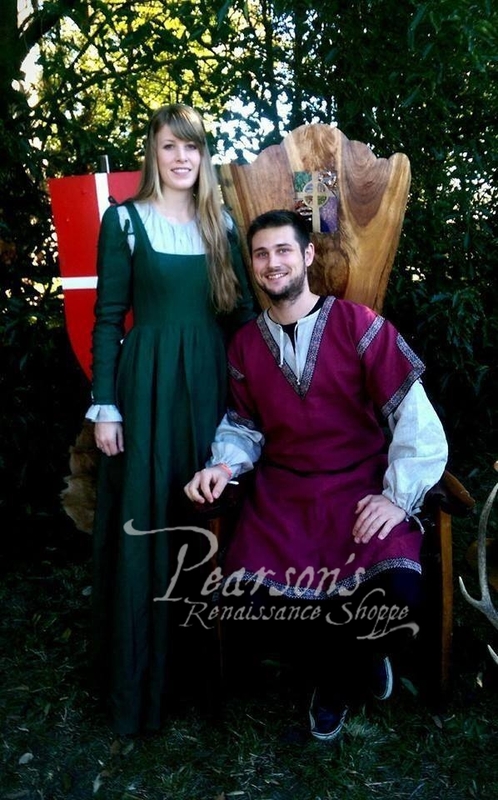 The Kirtle Dress also has a corset bodice that shapes a dainty waistline and high bust. The low square neckline emphasizes the wearer's charms. The dress laces up the back. The removable sleeves are decorated with tiny metal buttons. 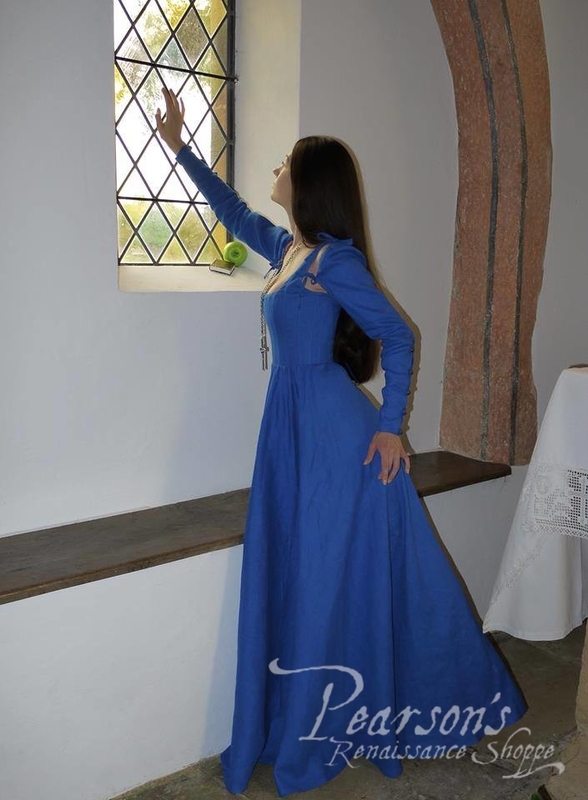 The contrast fabric of the chemise can be seen in splits between the buttons and provides the dress with a more detailed and festive look. 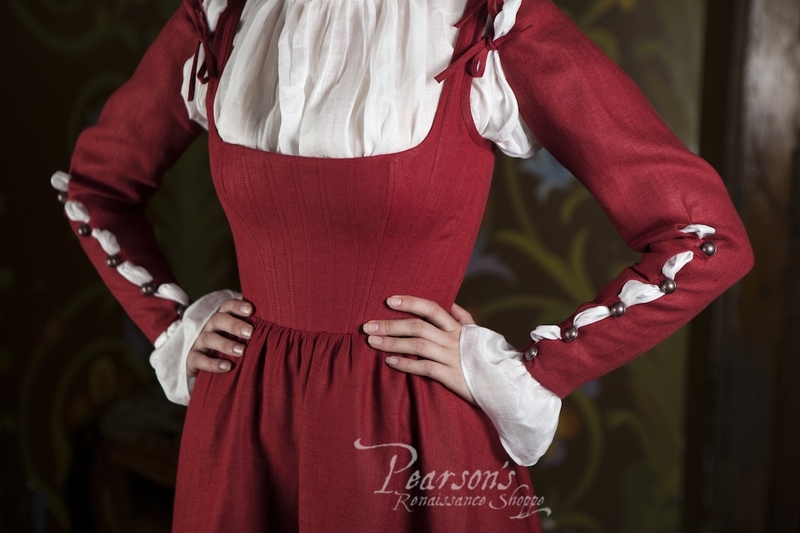 Balloon sleeve top is attached to the arm-hole with three laces which allows sleeve adjustment. Chemise is sold separately.